Craving fishcakes for lunch or dinner? A little concerned about the calorie content or carb intake? Are you a truly concerned about the WWF SASSI list of endangered fish species. Than this recipe is for you! Drain the tuna, chop onion & green pepper finely and add all the ingredients to a mixing bowl. Add Origanum, salt & pepper to the breadcrumbs to season. Pour in to the bowl with tuna mix. Crack the egg open and mix into the tuna. Once everything is mixed evenly. Scoop mixture into tin. 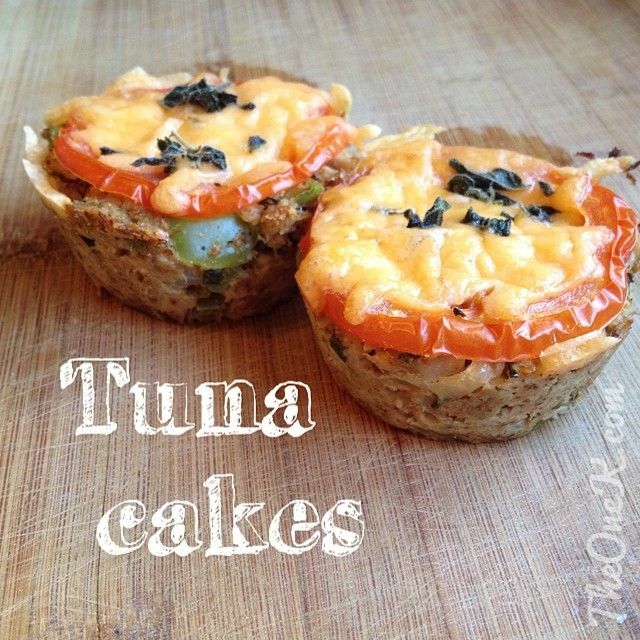 Slice tomato and top each cake with tomato, a little cheese and origanum. Bake in the oven for 20 minutes and served hot or cold. Previous: Previous post: Be More in March!